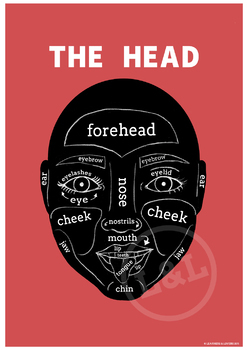 1 Printable poster with professionally designed artwork and classic HEAD vocabulary. Perfect for hanging in the classroom as decoration and for reference. Can you locate your chin? File size supports A1 poster prints. 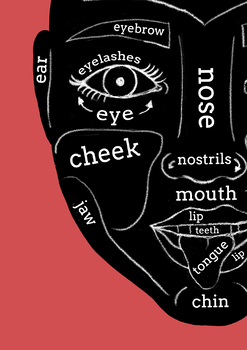 Words and drawings contain: Forehead, eyebrow, eyelid, eyelashes, eye, ear, nose, cheek, nostrils, mouth, lip, teeth, tongue, jaw, chin. 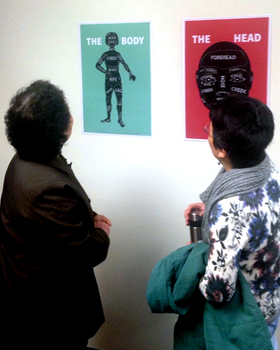 My wife and I made this poster for my EFL classroom in Wellington, New Zealand. Our mission was to make attractive reference posters that were suitable for all levels and age groups. This is a fun way to spruce up your classroom and make it pretty and inviting. © Learners and Lovers. Please note - all material included in this resource belongs to Learners and Lovers. By purchasing, you have a license to use the material but you do not own the material. You may not upload any portion of this resource to the internet in any format, including school/personal websites or network drives unless the site is password protected and can only be accessed by students, not other teachers or anyone else on the internet.